Our large sphere fountains range in size 30 inches in diameter to over 8 feet in diameter, weighing 800 Kg to over 24 tons. Our giant stone sphere fountains are eye catching. People want to search where giant rolling sphere fountains install. They really want to install a rolling ball fountain their garden, home and front of office.In this water feature a solid granite ball that “floats” on a thin layer of water and is constantly spinning. Our marble globe engraved with the Earth's land masses, gives the impression of a spinning world and represents the earth. This water fountain is a perfectly polished stone sphere that fits into a socket carved to the exact curve of the ball. The sphere can actually revolve 360 degrees in all directions and invites people to interact with it by touching and pushing the black globe. The base stone, also made by granite or marble, weighs 20 kg to over 15 ton . The socket in the base stone is filled with water through a small pipe. The water is pumped to a small electric pump that provides only small pressure to lift the giant ball, so that it will spin smoothly in the socket. The fit of the ball to the socket is so tight that not even a card can be slipped between it, thus protecting little fingers of children who push the ball.Ball water features fountains for residential and commercial complexes. Marble sphere water fountains low-maintenance center-pieces for public spaces and private residences, indoors and out. 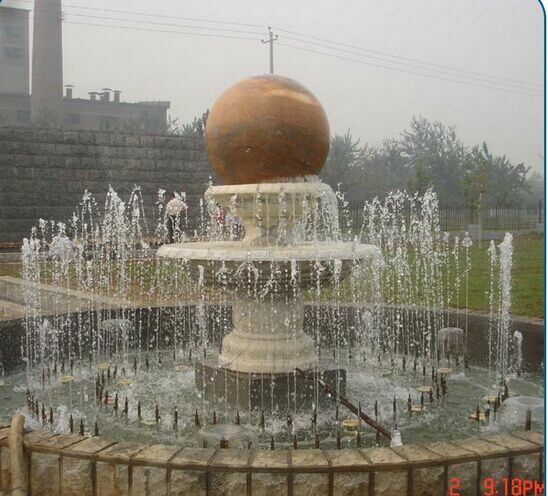 Large outdoor Stone sphere fountains for science city, Olympic grounds and children's parks. 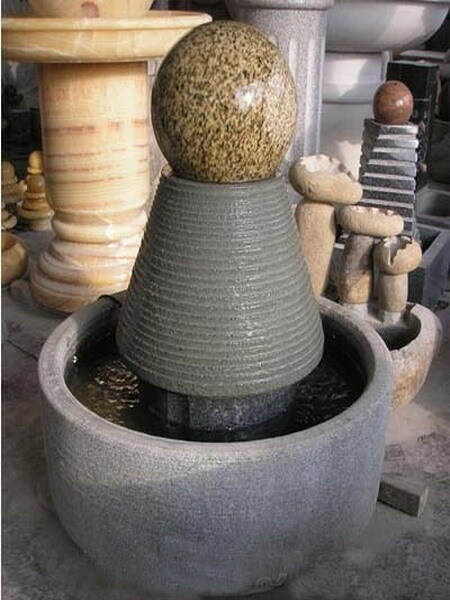 These Natural Stone ball fountains are available with granite, sandstone, slate, limestone and marble stones. 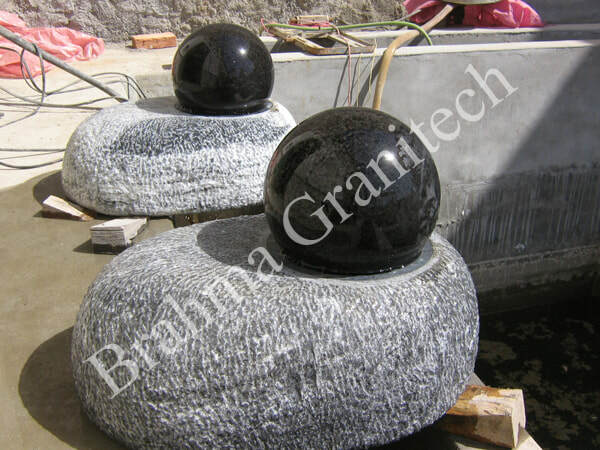 Rotating globe beginning at 10″ in diameter to 8 feet or more with Square, Round, Hexagonal, Rock and Natural boulder bases available for garden projects.If you want to make an attraction in your business or your shopping mall, you need to install floating granite stone sphere water fountain. 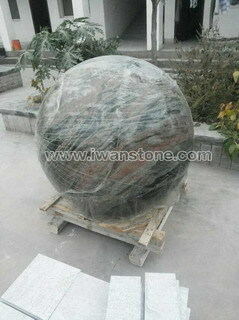 If you are interested or buy Giant granite sphere fountain 1 meter to 2 meter for your landscape garden email us for special pricing. 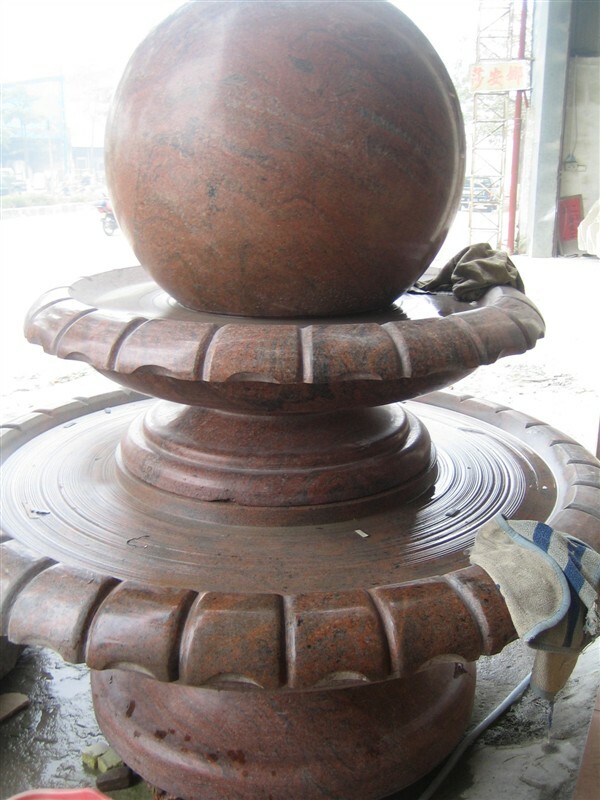 granite sphere fountain granite globe fountain is Floating Ball from India, welcome to buy granite sphere fountain granite globe fountain with good quality and price from India suppliers and manufacturers directly.